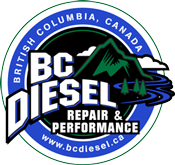 DFC Diesel strives to supply the industry with the highest quality engines available, with the most comprehensive warranty in the business. Diesel engines will change materials, components, and designs over time, but their unrelenting pursuit to offer the highest quality engine on the market will always evolve with current technology from companies like Rottler and Mahle. With some of the most advanced engine machinig equipment in the business and strict production standards, DFC engines are frequently copied but never duplicated. All backed with North America's best warranty - they continue to set the standard for light duty diesel engines and they're here to stay. Need a new long block for your 1994-1998 Dodge 5.9L 12V Cummins? DFC's flagship STREET SERIES blocks are built for work trucks, daily drivers and the diesel enthusiast in mind. Using important upgrades to key common problem areas, and comes with a comprehensive 5-year/160,000km warranty throughout North America. Need a new long block for your 1998-1999 Dodge 5.9L 24V Cummins? DFC's flagship STREET SERIES long blocks are built for work trucks, daily drivers and the diesel enthusiast in mind. Using important upgrades to key common problem areas, and with the most comprehensive 5-year/160,000km warranty through North America. Need a new long block for your 2000-2002 Dodge 5.9L 24V Cummins? DFC's flagship STREET SERIES blocks are built for work trucks, daily drivers and the diesel enthusiast in mind. Using important upgrades to key common problem areas, and with the most comprehensive 5-year/160,000km warranty through North America. Need a new long block for your 2003-2004 Dodge 5.9L 24V Cummins? DFC's flagship STREET SERIES blocks are built for work trucks, daily drivers and the diesel enthusiast in mind. Using important upgrades to key common problem areas, and with the most comprehensive 5-year/160,000km warranty through North America. Need a new long block for your 2004.5-2007 Dodge 5.9L 24V Cummins? DFC's STREET SERIES blocks are built for work trucks, daily drivers and the diesel enthusiast in mind. Important upgrades to key common problem areas, and the most comprehensive 5-year/160,000km warranty throughout North America. Need a new long block for your 2008-2010 Ford Powerstroke 6.4L? DFC's flagship STREET SERIES long blocks are built for work trucks, daily drivers and the diesel enthusiast in mind. Using important upgrades to key common problem areas, and with the most comprehensive 5-year/160,000km warranty through North America. Need a new long block for your 2011-2016 Ford Powerstroke 6.7L? DFC's flagship STREET SERIES long blocks are built for work trucks, daily drivers and the diesel enthusiast in mind. Using important upgrades to key common problem areas, and with the most comprehensive 5-year/160,000km warranty through North America. Need a new long block for your 2001-2004 GMC/Chevy Duramax 6.6L w/ the LB7 Engine? DFC's flagship STREET SERIES long blocks are built for work trucks, daily drivers and the diesel enthusiast in mind. Using important upgrades to key common problem areas, and comes with the most comprehensive 5-year/160,000km warranty throughout North America. Need a new long block for your 2004.5-2005 GMC/Chevy Duramax 6.6L w/ the LLY Engine? DFC's flagship STREET SERIES long blocks are built for work trucks, daily drivers and the diesel enthusiast in mind. Using important upgrades to key common problem areas, and with the most comprehensive 5-year/160,000km warranty through North America. Need a new long block for your 2006-2007 GMC/Chevy Duramax 6.6L w/ the LBZ Engine? DFC's flagship STREET SERIES long blocks are built for work trucks, daily drivers and the diesel enthusiast in mind. Using important upgrades to key common problem areas, and with the most comprehensive 5-year/160,000km warranty through North America. Need a new long block for your 2007.5-2010 GMC/Chevy Duramax 6.6L w/ the LMM Engine? DFC's flagship STREET SERIES long blocks are built for work trucks, daily drivers and the diesel enthusiast in mind. Using important upgrades to key common problem areas, and with the most comprehensive 5-year/160,000km warranty through North America. Need a new long block for your 2011-2016 GMC/Chevy Duramax 6.6L LML? DFC's STREET SERIES blocks are built for work trucks, daily drivers and the diesel enthusiast in mind. Important upgrades to key common problem areas are made, and comes with the most comprehensive 5-year/160,000km warranty through North America. Need a new COMPLETE long block for your 2003-2007 Dodge 5.9L 24V Cummins? DFC's STREET SERIES blocks are built for work trucks, daily drivers and the diesel enthusiast in mind. Included: Oil cooler, fuel injectors, and turbocharger. Comes standard with the most comprehensive 5-year/160,000km warranty throughout North America. Need a new long block for your 1994-1998 Dodge 5.9L 12V Cummins? DFC's flagship STREET SERIES blocks are built for work trucks, daily drivers and the diesel enthusiast in mind. This engine from DFC comes with ARP Head Studs pre-installed, uses important upgrades to key common problem areas, and with the most comprehensive 5-year/160,000km warranty through North America, you can't lose. Need a new long block for your 1998.5-1999 Dodge 5.9L 24V Cummins? DFC's flagship STREET SERIES blocks are built for work trucks, daily drivers and the diesel enthusiast in mind. Comes with ARP Head Studs pre-installed, uses important upgrades to key common problem areas, and has the most comprehensive 5-year/160,000km warranty throughout North America. Need a new long block for your 2000-2002 Dodge Cummins 5.9L 24-valve? DFC's flagship STREET SERIES long blocks are built for work trucks, daily drivers and the diesel enthusiast in mind. Comes with ARP Head Studs pre-installed, uses important upgrades to key common problem areas, and has the most comprehensive 5-year/160,000km warranty throughout North America. Need a new long block for your 2003-2004 Dodge Cummins 5.9L 24-valve? DFC's STREET SERIES blocks are built for work trucks, daily drivers and the diesel enthusiast in mind. ARP Head Studs pre-installed, important upgrades to key common problem areas, and the most comprehensive 5-year/160,000km warranty throughout North America. Need a new long block for your 2004.5-2007 Dodge Cummins 5.9L 24-valve? DFC's STREET SERIES blocks are built for work trucks, daily drivers and the diesel enthusiast in mind. ARP Head Studs pre-installed, important upgrades to key common problem areas, and the most comprehensive 5-year/160,000km warranty throughout North America. Need a new long block for your 2007.5-2014 Dodge Cummins 6.7L? DFC's flagship STREET SERIES blocks are built for work trucks, daily drivers and the diesel enthusiast in mind. Comes with ARP Head Studs pre-installed, uses important upgrades to key common problem areas, and has the most comprehensive 5-year/160,000km warranty throughout North America. Need a new long block for your 2003 Ford Powerstroke 6.0L? DFC's flagship STREET SERIES long blocks are built for work trucks, daily drivers and the diesel enthusiast in mind. Comes with ARP HEAD STUDS PRE-INSTALLED, important upgrades to key common problem areas, and a 5-year/160,000km warranty throughout North America.